Posted on June 20, 2018 at 8:51 pm. Life insurance is a simple concept — you buy a policy that pays to your beneficiary or beneficiaries when you die. But when it comes to making decisions about what kind Life Insurance to purchase, how much of a death benefit and how much to pay, it can become extremely complex. * Note. According to the Canadian Life and Health Insurance Association in 2009, there were just over 100 life and health insurers in Canada. There are government regulations on how insurance services and products are distributed as well as a requirement for the level of capital they’re required to hold. That doesn’t mean you’re fully protected from fraud. By contacting your trusted broker at Secure Insurance Solutions, we’ll ensure that you only get insurance from a reliable, financially sound insurer. Make sure you consult a seasoned insurance professional. Life Insurance is like Auto Insurance — you can buy a lot of it or not very much of it. It’s different than Auto Insurance because depending on the type of policy you buy, you can pay a lot or a little for basically the same death benefit. Keep in mind, that the younger and healthier you are, the less you’ll pay for coverage. Life insurers like to have their policyholders around for a long, long time. Do You Have An Adequate Death Benefit? Whatever type of policy you buy, make sure it provides enough of a death benefit to meet your family’s needs if you aren’t there. When you consider buying Life Insurance, calculate what your family must have in terms of a death benefit. Don’t lose sight of this number. There are two basic types of insurance in Ontario. *TIP: Keep in mind that the terms and costs of the policies vary widely among insurers. Term life policies provide coverage for specific periods of time, generally 5, 10 and 20-year terms. 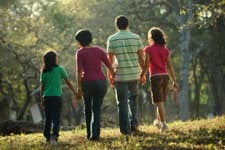 Often younger families with budget concerns purchase Term Life Insurance. The amount you pay for the policy as well as the sum insured won’t change during the term of your policy. The insurance company determines the premiums based on your general health status. While you usually can renew term life policies for one or more terms even if your health has changed, there’s potentially a big risk if you get sick during the term. * Tip. If your health does change, you probably won’t be able to buy another term without watching your premium skyrocket. Ask your insurer or agent what the premium will be if you continue to renew the policy. Permanent, Whole Life Insurance is often treated as an investment. It gives your family financial protection if there’s a premature death. A portion of the premiums goes into an investment account creating a cash value of the policy. With four permanent options to choose from (10-year, 20-year, 65-year or 100-year terms) the sum insured as well as the cost of policy are guaranteed for the term. The cash value of the policy is also guaranteed. Young couples who can afford to pay a higher premium more quickly and those high-income earners looking for a tax benefit generally buy Universal Life Insurance. The cash value accumulated is tax sheltered. In other words, you’re getting Life Insurance protection and a tax-sheltered savings account. You can even make withdrawals or take out loans against your cash value and you can modify your insurance amount cost and your payment frequency. I Have To Make A Decision. What’s The Best Type Of Policy For My Situation? Such an insurer will be able to offer you better terms, including higher death benefits, higher cash value and lower premiums. *Tip. It’s imperative that you have a trained insurance professional analyze your financial situation and determine what kind of policy, from which insurer, is best for you.